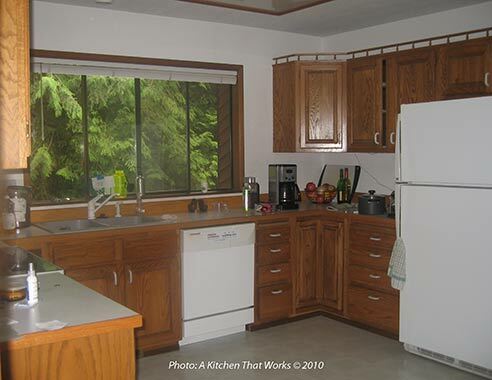 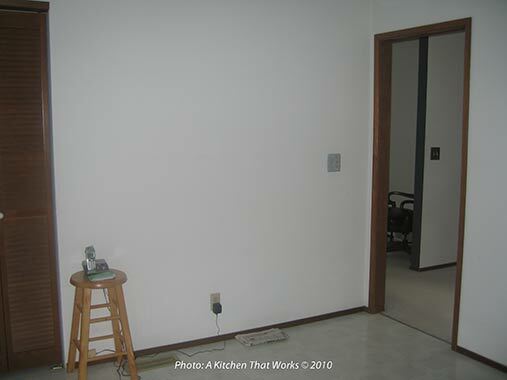 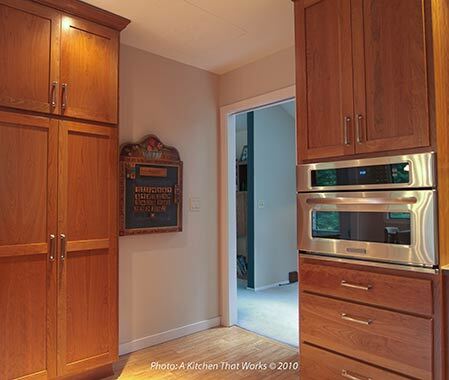 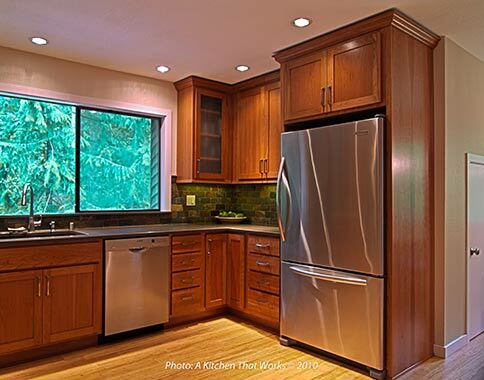 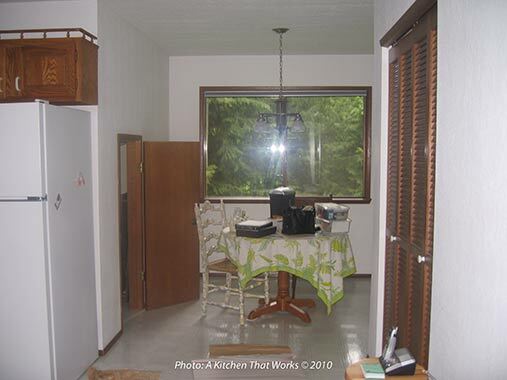 The kitchen in this '80s split level home lacked storage, style, and a family centric focus. 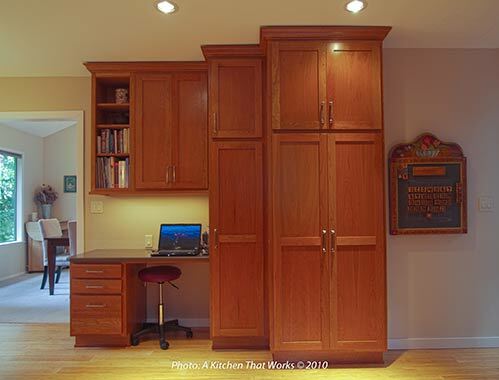 Working within the existing footprint, the new 'command central' home office area helps this active family of four stay connected and organized. 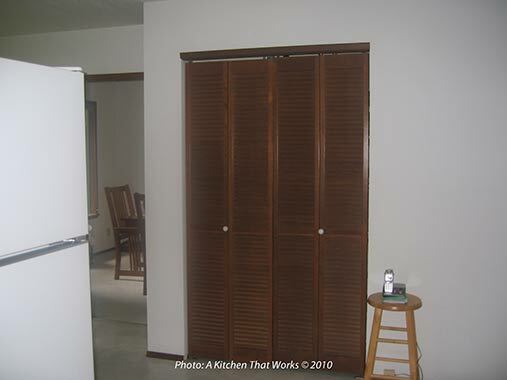 Wasted space was made useful with the addition of the tall pantries which not only assist the kids with independent snack preparation but also provides ergonomic storage for a variety of small kitchen appliances. 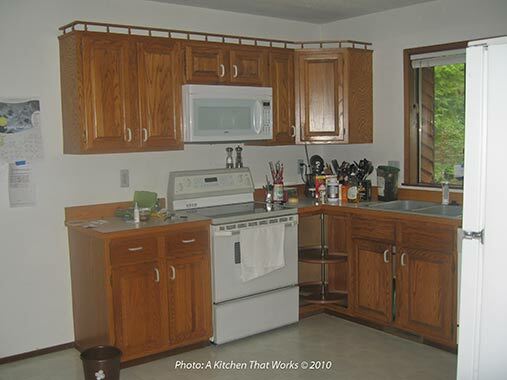 By replacing the over the range microwave/hood with a dedicated exhaust hood and a wall mounted convection microwave, the kitchen has better ventilation for the maintenance of good indoor air quality, reduced congestion around the range and increased cooking capacity with the convection mode on the microwave allowing multiple items to be baked at different temperatures. 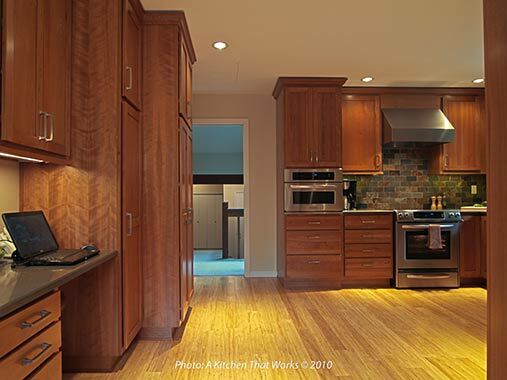 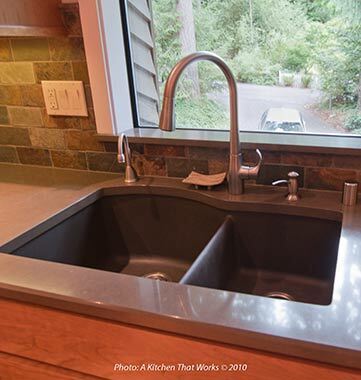 Materials and fixtures were selected for high durability and low maintenance as well as energy conservation and included Energy Star rated appliances, sustainably harvested bamboo flooring, sustainably manufactured cabinets and energy efficient lighting. 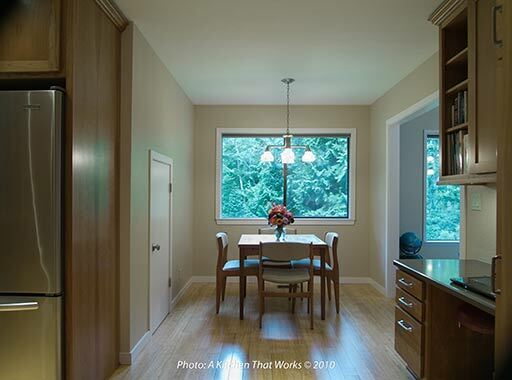 Situated on a beautiful wooded lot, the rooms rich color palette brings the outdoors in for this Pacific Northwest home. 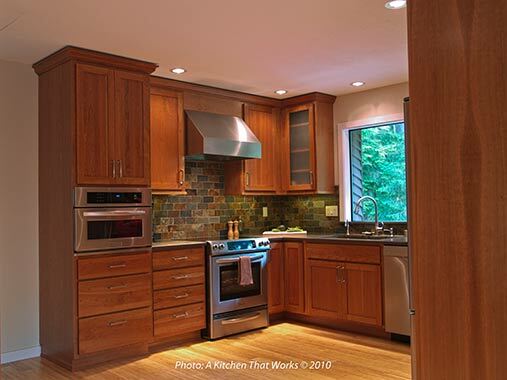 "We spend so much time in our kitchen, we're thrilled with the improvement in both appearance and functionality and we receive lots of compliments too!" 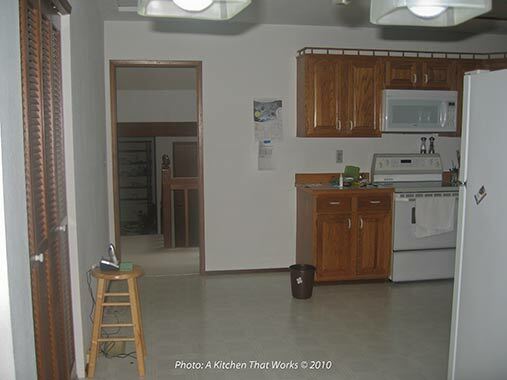 ~ Jenny c. Homeowner.